Many religions, including Mormons assert that because we feel good about something they are teaching, that it must be true. In fact, the Mormon church teaches that this feeling is actually the Holy Ghost which is personally confirming the truth. What about the opposite feeling? If we are listening to someone tell us a scary story about the Boogey Man and we feel scared, what truth does this feeling reveal about the facts related in the story itself? If you feel bad about a person because of testimonies given about a man's character, does that prove the man is bad? Do those feelings verify the testimony being born? 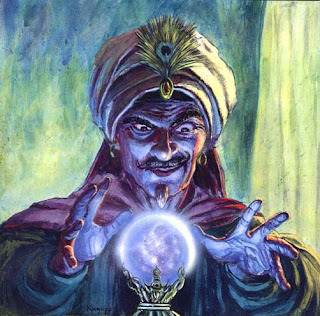 If a man sits in front of a 'psychic' and has his fortune read to him like a book of hist life, and his hairs stand up on end on the back of his neck from how close the psychic has come to describing him, does this prove psychic powers , or spiritual powers? Storytellers rely on pulling readers or listeners into their stories by stirring their emotions. In deed, how many 'fictional' stories of drama, love or war have been read with tears in your eyes at the end of it. Are these tears due to supernatural entities existing to exert their influence and reveal the truth? Or are these tears due to the storytellers ability to pull at our heart strings. Do storytellers understand the human desire to resolve conflict, to be part of community, to love and be loved, to bond with others, to live? Do storytellers use this knowledge to create great fiction that although false, describes truth? Is it true that even if you know a story is probably bogus, a spooky story is still creepy? The ability to stir emotions does not convert fiction to fact. The only thing that can be counted on when hearing a story that 'moves' you emotionally is your reaction to it. Great fiction helps us understand ourselves better by placing us into situations that we may never encounter naturally. It may inspire us to be better people, and teach us the lessons we need to do so. When we begin to understand that fiction is fiction, and that there is no sacred, absolute knowledge of the truth held in any book, then we begin to understand its power. 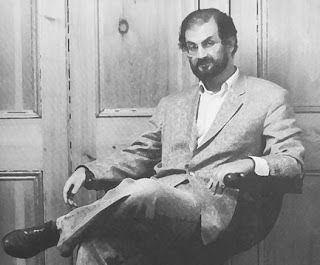 Salman Rushdie believed that the novel held the most possibility to offer humans that kind of transcendence that Religions seek to provide through indoctrination and Dogma. Instead of looking for the answers in the supernatural, I'd like us to consider the possibility that the answers lie with each other. If we could possibly understand and allow ourselves, and our beliefs the possibility of fallibility, then each question isn't met as a a source of treason to the group, but as a source of community to achieve a more open society. J. Robert Oppenheimer, by all accounts, a scientific genius, the director of the Los Alamos Manhatten Project, seemed to struggle his whole life with his role in developing the 'gadget' as it was called then. After his death, a published essay described his desire for a more open society, where untethered access to knowledge and uninhibited free associations of men would be what would make a vast, complex, growing and expert technological world. Nevertheless, a world of human community. 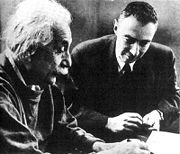 Humans must be encouraged to think, to question, to be allowed to examine the world we live in and pursue courses that continually strive to improve it by destroying the false ideas of the past. Ironically, for all of the talk that religions have of damnation, it is damnation that religions bring to an open society. Religions claim absolute truth and claims to encourage followers to search for truth, while stifling those who question it openly. An Open Society asserts that truth is elusive and encourages participants to continuously question existing tenets of that society. It is natural to want all of the answers, and we would all love to have them, but no one has them. We must contually search for and explore them. 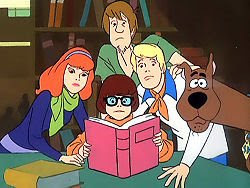 When confronted with the swamp ghosts that breed fear and guilt, we must confidently follow Fred's lead when he declared, "Looks like we have a mystery!" and press forward to solve that mystery, even though most mysteries of life can't be solved in just a three TV segments sandwiched by advertisements. It would be nice if these people read ALL of their book. Feeling, alone, is little proof of something aside from the feeling itself. When someone feels god, a spirit, or the lucky number to bet on, they should ask whether they aren't just feeling what they wish to be true, rather than what is true. I got here via the Humanist Symposium.